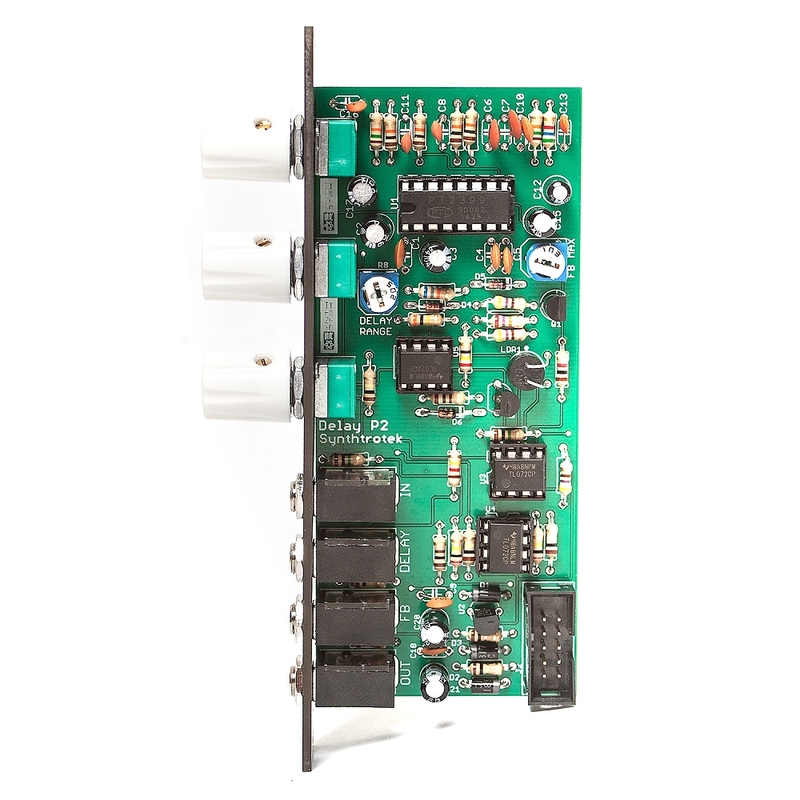 The Synthrotek DLY is a PT2399 bucket-brigade delay module. The PT2399 IC delivers warm and lush analog-sounding tones (the IC is partially digital). 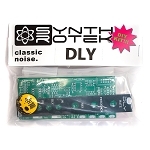 The DLY is similar in tone to our ECHO Eurorack module, but its features make it unique in its own right. Unlike the ECHO which always has a wet signal (i.e. 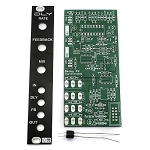 the output is always mixed in with the input), the DLY offers a true wet/dry Mix knob. When the Mix knob is fully counter-clockwise, you get a dry signal. When it is fully clockwise, you get a fully wet signal. This allows the user to plug this delay into effects loops. Also, the DLY allows for CV over Feedback and has an internal Feedback amount trimpot for precise adjustment. 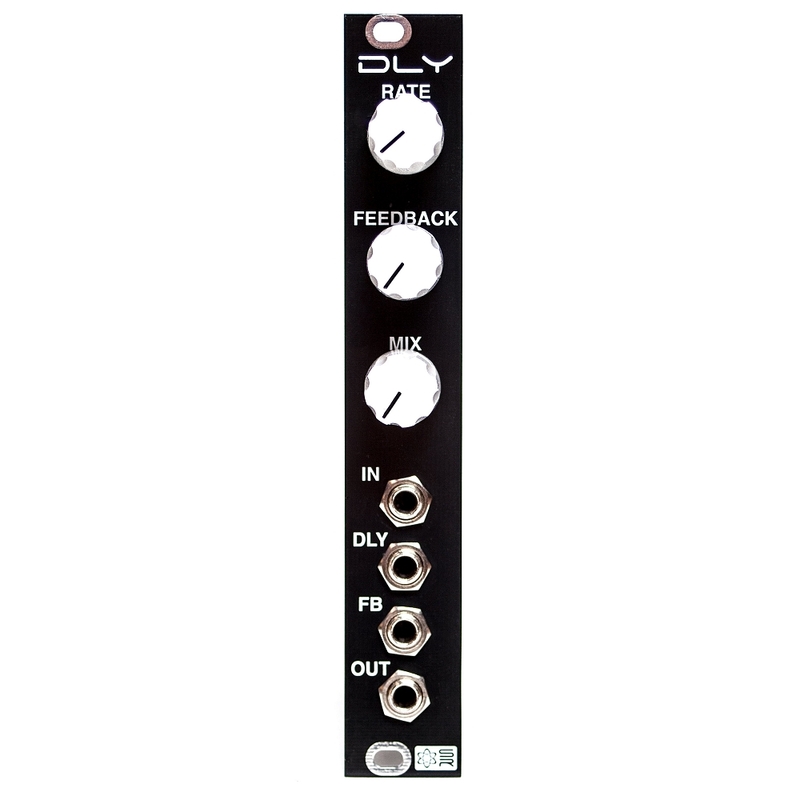 Another added feature is the delay Rate range internal trimpot, which allows you to dial in the delay range of your choice. Turn the Rate knob all the way up to get the extreme, chaotic sounds of an over-clocked PT2399 chip.